At the end of BTTF3, Needles's guys were one of each of the three former groups: One of 1955-Biff's gang, one of 2015-Griff's gang and one of 1885-Mad-Dog's gang. Synopsis: Marty's stuck in 1955 while the Doc's back in 1885. But the Doc isn't going to live much longer after he had written the letter and Marty decides to go back and get him.But the old West didn't have real roads and Marty subsequently rips the fuel line apart. Now they have to find another way to accelerate the DeLorean to 88 miles per hour. As if this weren't enough Doc also falls in love and Marty agrees to a gunfight against 'Mad Dog' Tannen. My Opinion: In my opinion this movie is a bit more serious than the other two and both characters seem to have grown a lot due to their travels. I felt it to be a bit unfair that Marty travelled back to save Doc's life and he doesn't even thank him by warning him of the "Rolls-Royce accident". But I also thought it to be a really good idea to let Marty make that decision alone and to show that the time travels have taught him something. I also thought that Mary Steenburgen was a great addition and to see Doc in love was very nice. It great conclusion to a fantastic trilogy. BTW: When Marty arrives in 1985 the formerly know Shonash/Clayton Ravine is now called Eastwood Ravine. Synopsis: Heroin worth 100 million Dollars gets stolen directly from the police's evidence room. It is suspected that this was an inside job and Internal Affairs is investigating. The detectives Lowrey and Burnett have only one lead, an eyewitness to a shooting between the thieves. But for this to work, Lowrey and Burnett have to switch roles and their lives are very different. 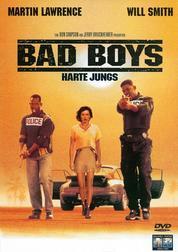 My Opinion: I listened randomly thorugh my iTunes library when the theme song of COPS suddenly played and that gave me the idea to watch Bad Boys again. It's a good action movie although neither my favourite Michael Bay movie nor my favourite Will Smith or Martin Lawrence movie. But it was funny to see them bickering about their different livestyles and I loved all these different shootouts and explosions. Hey what did you expect? It's a Bay/Bruckenheimer movie for crying out loud! Synopsis: Earth, 2029. The computer system Skynet is self-aware and highly intelligent. It was invented by men but it has wiped out nearly the entire human race. Shortly before its defeat it sends a Terminator back in time, a cyborg, human flesh over a metal endoskeleton. Its mission: To kill the mother of the resistance leader in the year 1984, before she gives birth to her son. But the resistance sends also someone back to protect her. 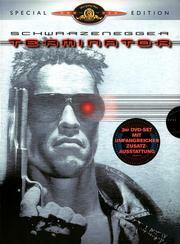 My Opinion: The original Terminator movie is a perfect example of a time loop. The fotograph Reese has is the same that Sarah gets at the end of the movie. Except for the logical hole that the one who wants prevent a change cannot travel back in time after the one who wants to change something, it's quite consistent. And it has aged suprisingly well. I had expected that the skeleton scenes would look rather lame comparing to today's FX but they weren't that bad. When the sekeleton was alone in the picture they were actually quite good, even when the full skeleton was in sight. Only when we see Kyle/Sarah and the skeleton they look rather bad. I especially liked to hear all the one-liners again "for the first time". And I never even knew that "Come with me, if you want to live!" was even there in the first movie. I am looking forward to watching this one again. I am buying a copy from Eric. So soon! Well... relatively soon... never got a package from Canada (or anywhere out of country) before... so not sure how long that will take. Hmmmm.... I was thinking about doing just that. Maybe I should reconsider. No, I'd actually recommend, at least once, just to see for yourself It doesn't make for a bad experience, just for an interesting one. This is true... I was thinking about watching all 3 back to back. Usually between 10 and 15 days between our 2 countries, but it can be longuer if the package is selected to be check at the border. It had only happen one time, and I've bought relatively often in the US, that one package take more than 3 weeks to arrive. On moments like these I am somewhat glad that the EU has a common market. Amazon UK dispatched an item late sunday evening and it arrived today. It's only between the Canada and the United States (and vice et versa). Every order that I've made from Europe (Great Britain and Germany) arrives usually in a week or less. For what I've understand the US postal service had a tendancy to make the package travel from state to state in a very illogical way. Thanks all... looking forward to it... just as soon as I am able to get Paypal straight he will be able to send them to me. I am looking into Paypal for the very first time this morning. And yes Jimmy... there is no logic to the way the US sends packages from state to state. It is very confusing! Synopsis: Violet goes from New Jersey to New York City to become a songwriter. She goes to every music agency but nobody wants to listen to her songs unless she sings them herself in an open song contest. The problem is that she's to scared to sing in public. To survive in the big city she needs a job and soon she finds herself being a "Coyote", a bar girl in the hottest bar in town: The "Coyote Ugly". And she finds a boyfriend who'd give anything to see her on stage. But will one of her songs ever be published? My Opinion: It's a funny romantic movie with a great soundtrack. LeAnn Rimes sang all the songs when Violet was singing and I really liked it. But sometimes I wished one could hear those songs a bit louder that were not sung by her. I have both soundtrack CDs (and am listening to them as I write this) and it's great music. And I find stage fright to be a concept totally alien to me. I know I can't sing and still have no problem doing it before an audience. When I sing I'm happy and the world around me turns into a blur. Synopsis: In 1988 Dade Murphy wrote a computer virus that crashed 1507 computer systems, including the Wall Street trading system. He was 11 years old. Now he's 18 and still on probation, but he's allowed to touch computers and touch-tone phones. Hacking is in his blood and soon he's competing in a hacking tournament. But he also has to fight against an evil computer virus and its author. 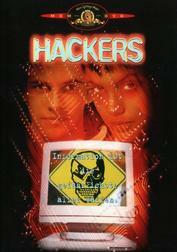 My Opinion: In regards to hacking and computers in general this movie is way beyond ridiculous. But it doesn't matter. This movie is pure fun with great visuals (both on the female side and the computer graphics ) and a great soundtrack. This movie belongs to my "my first four DVDs" collection and I have watched it at least twice a year since I bought it in 2000 or 2001. Unfortunately I missed it in the theatre but I've seen it for the first time in 1998. It was a time when the name Angelina Jolie was still worth a shrug and an "Angelina who?". As I said in the beginning: The computer stuff is totally unrealistic. Yet ironically it's not even close to what they have been doing on 24 in recent years where an FBI operator controls a chemical plant on the other side of the country - and she's doing it one-handedly while she's holding the phone with the other hand.